Look appears clean, fresh and smooth. 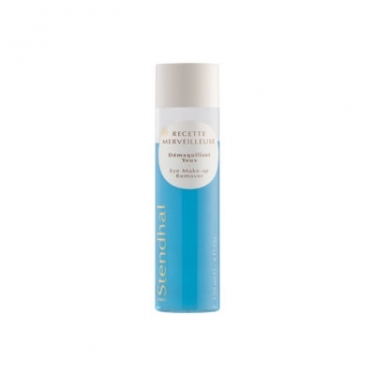 R Merveilleuse - Demaquillant Yeux is a Stendhal makeup remover especially developed for the delicate eye contour. This lightweight formula dissolves impurities and removes toxins, for a fresh and healthy look. It promotes a cleansing action. Soothes, refreshes and tones the look. Shake before use and smooth gently to eye contour.